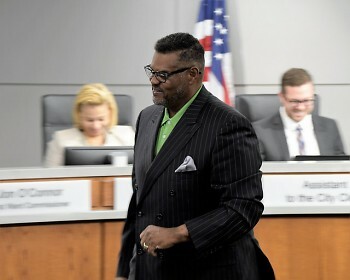 With the appointment of Nathaniel Moody to vacant Third Ward seat the Grand Rapids City Commissioners on Tuesday night filled the seat a week ahead of the planned time. The Grand Rapids City Commission voted 6-0 on Tuesday, July 24, 2018 to appoint Nathaniel Moody to fill the Third Ward seat vacated by the resignation of David Allen last month. Tuesday night's vote followed interviews with the three finalists: Ryan Anderson, Austin Dean, and Moody that had been held earlier in the day. The City Commission previously said it would make an appointment in a special meeting on July 31. 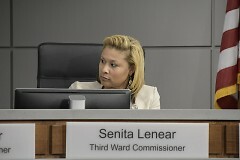 The decision to appoint a new commissioner came at the very end of Tuesday night's meeting. Commissioners were in the closing part of the meeting sharing their final thoughts when the decision was made not to wait until next week. Not expecting a vote until next week, Moody was surprised yet glad that the vote was taken and the vacancy filled Tuesday night. Moody was sworn in immediately following the appointment. 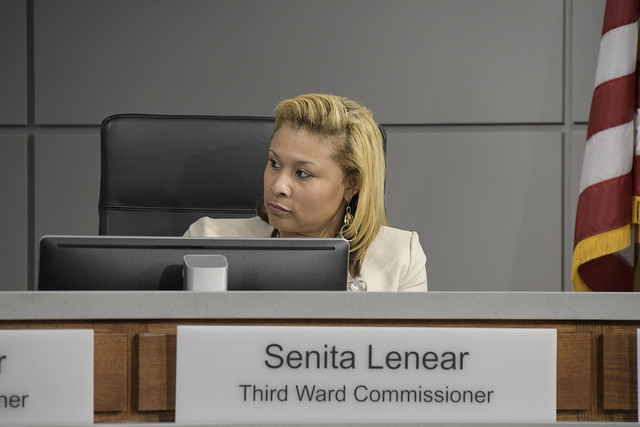 Commissioner Moody is looking forward now to sitting down with fellow Third Ward commissioner Senita Lenear to put their thoughts together, look at the plans the city has for the third ward and continue to push those plans to create new things. Hoping to bring better economics, better education and making sure the third ward continues to grow are on Moody’s agenda. “To the residents of the third ward I think at this point and time as I take this seat I am hopping with thought that as we continue to grow, that we look forward to some new and exciting changes to occur," Moody said. According to a press release from the city, Commissioner Moody is senior pastor of Brown Hutcherson Ministries. He also serves on the Children’s Advocacy Council, Grand Rapids Community College Foundation Board and Grand Rapids Area Association of Pastors. He is a former member of the Grand Rapids Public Schools Board of Education, Police Chief Advisory Committee and Grand Rapids Urban League, among other boards and committees. He is a lifelong resident of Grand Rapids and has been married to his wife, Laura Moody, for 39 years. The couple have four children and four grandchildren. In his application, Commissioner Moody pointed to his experience serving on boards with diverse people and addressing such issues as community and police relations, lead poisoning, affordable housing and racism. 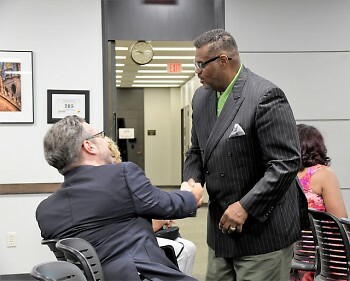 Commissioner Moody will join the City Commission at the manager candidate interviews, set for 2 p.m. Tuesday, July 31 in the ninth-floor Commission Chambers at City Hall. Watch Commissioner Moody Being sworn in here.